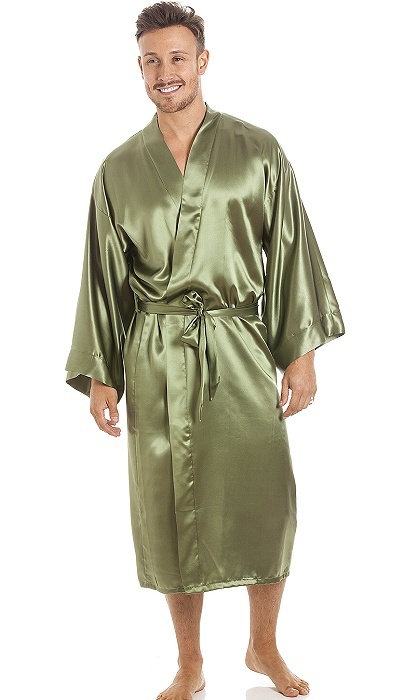 Luxurious Kimono style robe in a simple wrap over style with deep sleeves and belt. Long version (pictured) is sold out. Short version at £63 Length approximately 37"/94cm.